Melbourne startup KKDU Plum has just unveiled their brand new website, in which their very clever Bike Trailer and Rack are showcased. Charlwood Design recently had the pleasure of working with startup KKDU Plum to develop what we think is the best bike trailer on the market today. This is a great example of someone identifying a solution and doing something about it- and a great inspiration for someone planning to dive into the scary world of the startups! 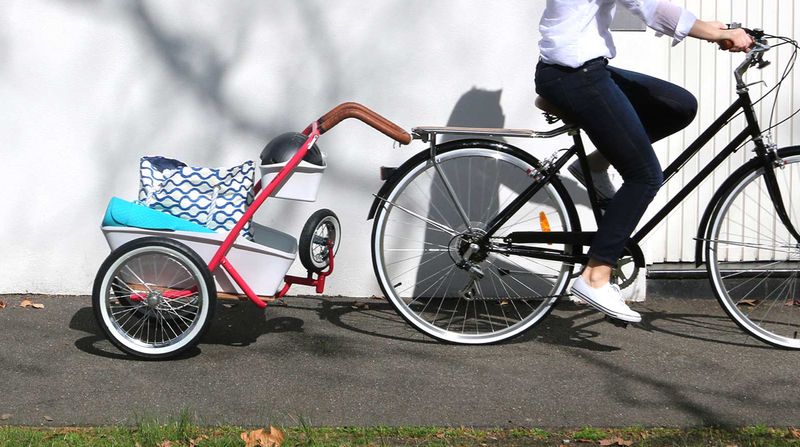 Founders Astrid and Haydn Sharratt came knocking on our big blue door about 2 years ago with a dream of developing a combined bike trailer and shopping trolley. 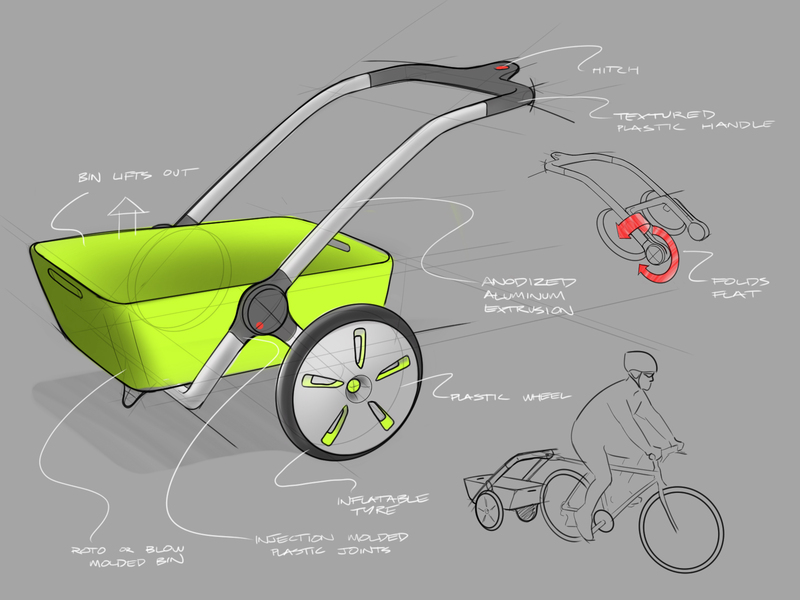 The initial brief was a bike trailer that could carry all your "stuff"- and easily detach to be taken into the supermarket/shopping centre/market/beach/park/etc. Easy, no? A page from the first concept presentation. Well, as with most product development stories, there were plenty of hurdles. First issue was nailing the aesthetics. The "pram" aesthetic was briefly explored- and just as quickly abandoned. Plastic wheels were dismissed very early on. And rolled tubular steel was favoured over aluminum extrusion, to provide a more traditional look. It was very quickly established that this trailer needed to look perfectly at home being pulled behind something like a Pashley, or wandering the aisles of Prahran Market. An early prototype. As with many projects, we find Water-Knifed Plywood to be a great method of creating mock-ups. 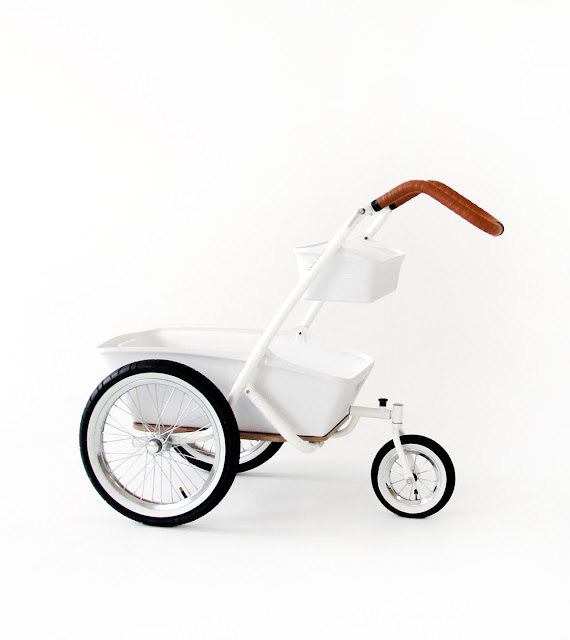 Ergonomically speaking, the trailer needed to not only suit all bike sizes; but also all users. The solution was an incredibly easy to adjust handle that also doubles as the hitching location. 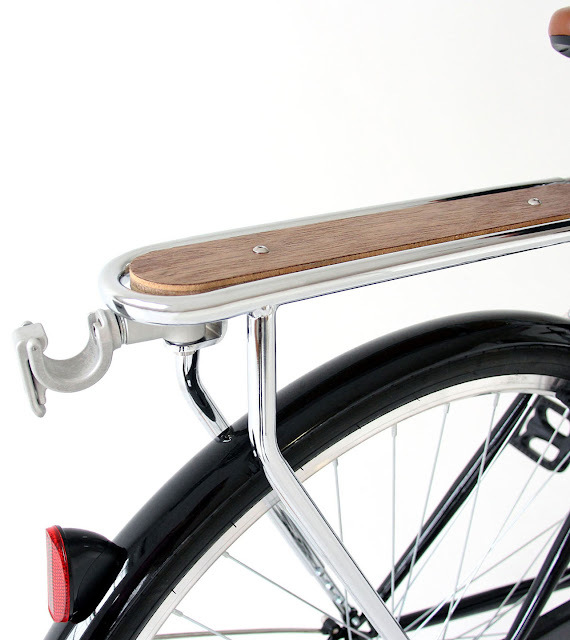 The handle rotates up and down to suit a variety of heights of both users and bikes, and connects to a very neat little hitch hanging off the custom bike rack. This also allows for a push or pull configuration when removed from the bike. The rack itself has a multitude of length and height adjust-ability to fit onto most adult bikes, and is an amazing product in its own right. Head over to the new website to have a look at all the other features. From there you can register your interest and keep up to date with release dates and more.